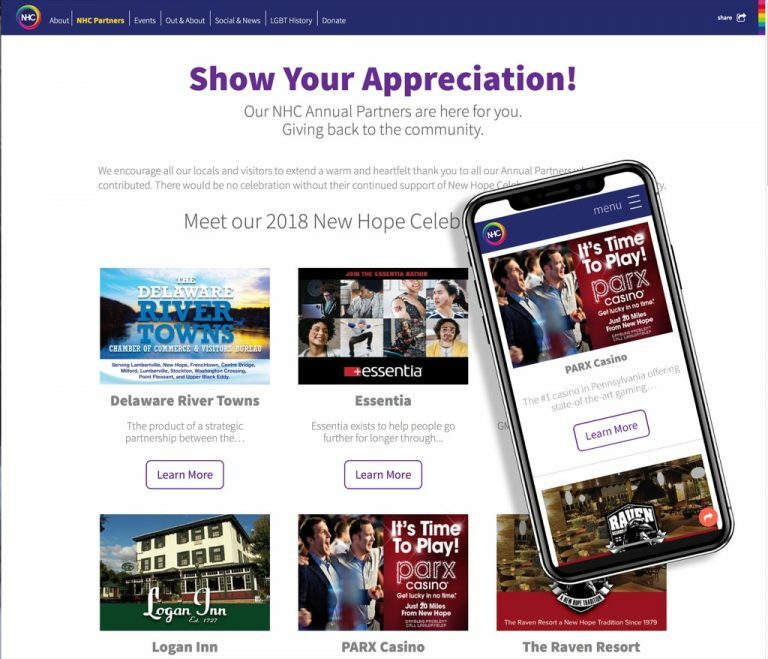 New Hope Celebrates is the Pride organization which brings a completely unique experience to the River Towns of New Hope, PA of Bucks County, and Lambertville, NJ of Hunterdon County. 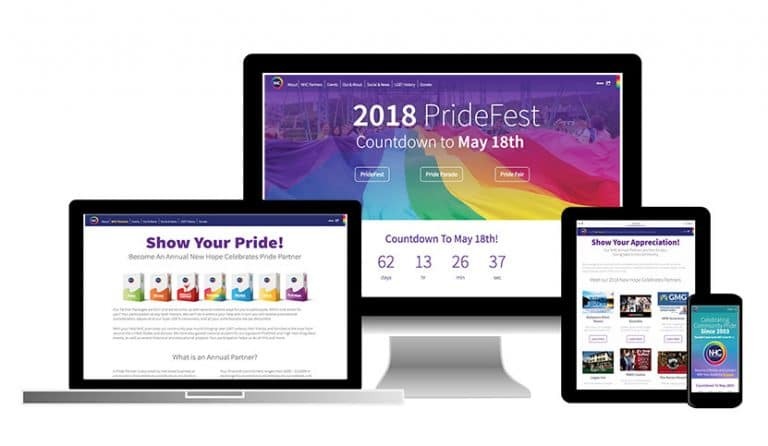 The online presence for this highly visited Pride experience needed a new responsive site with mobile support and a complete in-house marketing strategy. With an emphasis on Partners and Events, I approached the site for 3 audiences… The client (for editing), their Partners (for editing and promoting their businesses) and the general public (for events and participating in those events). The board members have access to edit, update, and manage their growing list of supportive donors and partners. Each Partner has their own page, which can include a plethora of content and allow them to promote themselves directly to the LGBTQ community. 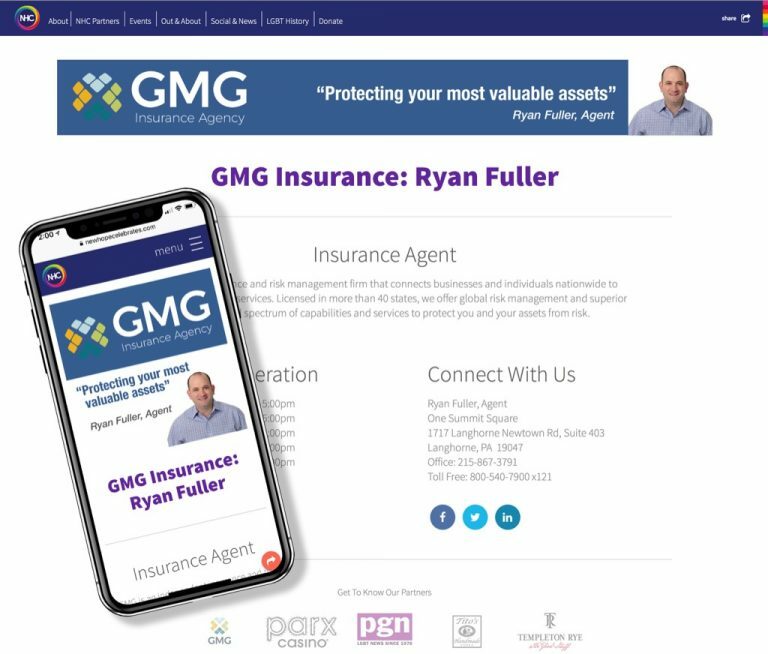 To further the value for the partners, Silver, Gold and Platinum NHC Partner have their own page and can log in, update the ad banners, add information to promote their own events. The site is also very SEO friendly and works great on mobile. 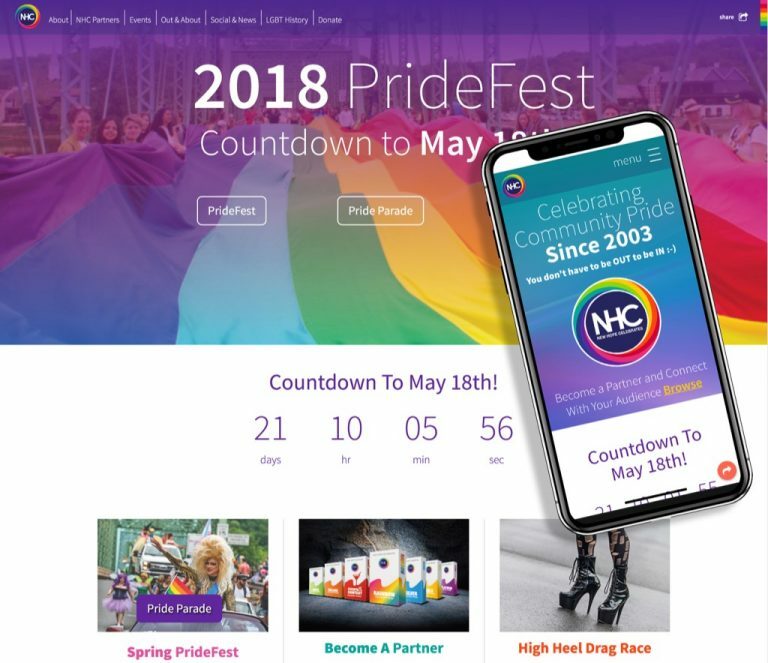 Event Registrations automatically synch entries into Google Sheets so that the event managers can see who is registered for the parade, or for the pride fair, etc.